When contemplating your estate plan in full, it’s a good idea to ensure that you have more than one person listed on your accounts asked for beneficiary info. Usually these accounts will be your life insurance, your brokerage accounts, and retirement accounts. Outside of your will, these accounts have their own forms regarding beneficiaries and take precedence over what’s listed in your will. This means that when you outline who you want to receive these assets if you pass away, the company is responsible for upholding whatever was last accurately written on these forms. If you haven’t updated them since your divorce, a former spouse would be legally entitled to get those benefits. Furthermore, you should review these designations every single year just in case your life has changed and you need to update this information. 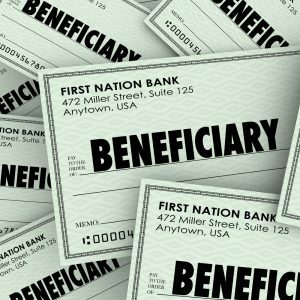 Having a primary and secondary beneficiary helps your family if you do pass away. This articulates what the company in charge of that asset will do with it. If your primary beneficiary has passed away themselves, this ensures that your secondary beneficiary will get access to that asset in full. You can often determine the percentage split for the primary and secondary regardless such that if the first person passes away the second will receive all of the assets. No matter what you decide, it’s smart planning to review these details every year and to update your primary and secondary beneficiary as needed. You’ll allow for a smooth transition of assets without confusion or mistakes that entitle someone to receive these assets without your full blessing.